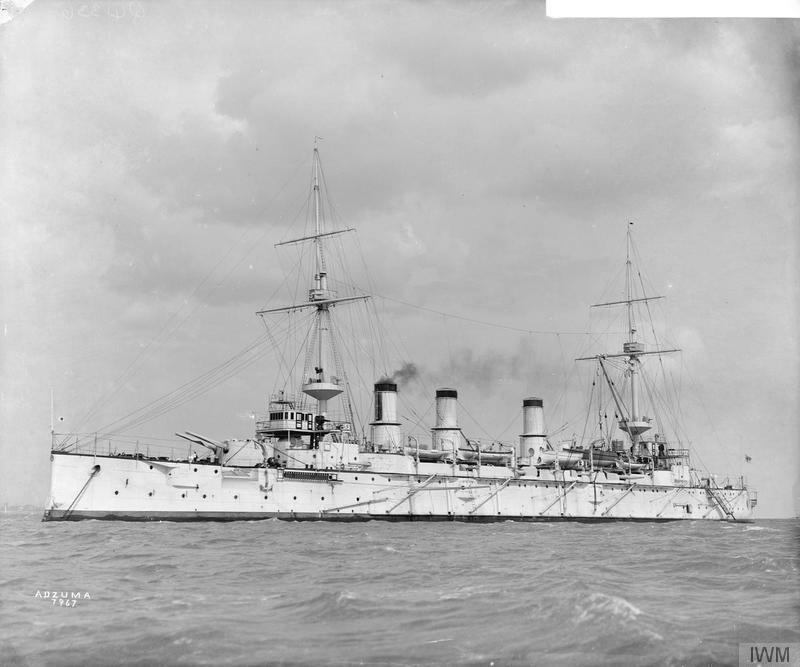 Armored Cruiser Adzuma. IWM Photograph Q 41336. 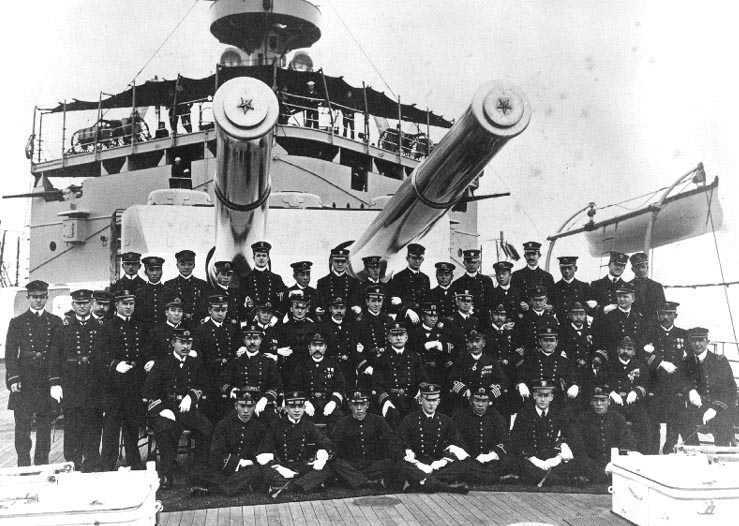 The original guns were produced by Elswick and used on Armored Cruisers built by the Italian firm of Ansaldo at the beginning of the 20th century. 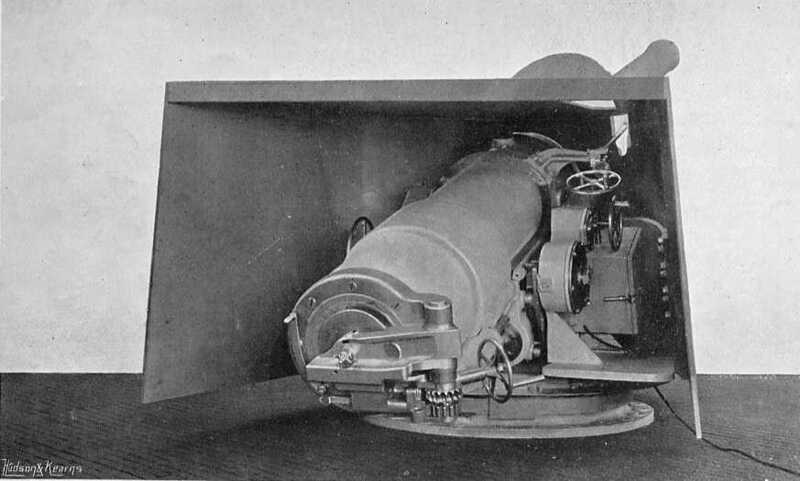 These were similar to other 8"/45 (20.3 cm) guns used by Ansaldo. The 8" (20.3 cm) 41st Year Type were weapons built by the Japanese and based upon information supplied by Armstrongs. These 8" (20.3 cm) guns used by the Japanese are often listed as being 40 calibers long, but according to "Naval Weapons of World War Two" they actually had a length of 45 calibers. Coastal defense guns emplaced in Japan were at least 45 calibers long. Many of these ships were disarmed as part of the Naval Limitation Treaties and their weapons then used as coastal artillery, including two twin turrets at Tokyo Bay, four single guns mounted at Tarawa and another four at Wake Island. These guns were partially wire wound and had screw breech blocks. ^A US Army report says that the propellant charge weighed 70 lbs. (31.8 kg) but the type is not given. The coastal mountings were much simplified compared to the larger gun turrets used as coastal artillery and much of the ammunition supply and loading was manually operated. 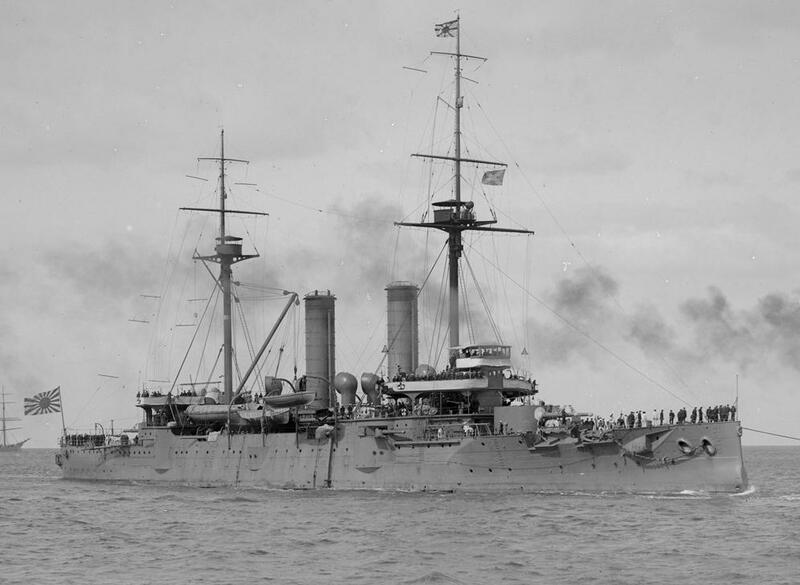 Armored Cruiser Asama. Photograph from Allan C. Green collection of glass negatives. State Library of Victoria Image H91.325/1058. Stern 8"/45 (20.3 cm) turret on Armored Cruiser Nisshin on 24 October 1908. Ship's officers with USN officers from USS Missouri (B-11) during "Great White Fleet" around the world cruise. Note the landing guns on the upper platform. U.S. Naval Historical Center Photograph # NH 82511. 8"/45 (20.3 cm) gun under construction at the Elswick Works. Photograph courtesy of Dave Perkins.